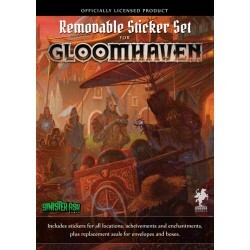 A set of removable vinyl stickers compatible with Gloomhaven first and second printing. 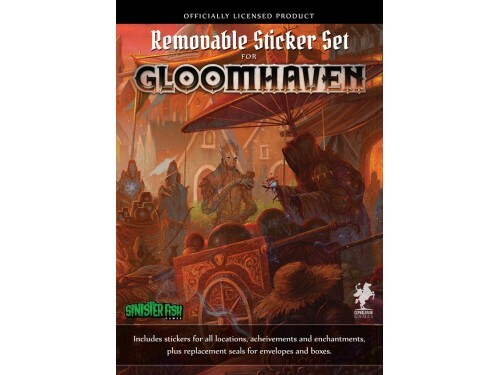 This pack contains a replacement for every map, achievement, and enhancement sticker in the core game, and also includes replacement seals for character boxes, secret envelopes, and the town records book. The stickers can be cleanly removed without tearing or leaving any sticky residue behind. With care, these stickers can be used several times. Editia: Retail Version Descriere (EN): Gloomhaven is a game of Euro-inspired tactic..